who graciously contributed to our conference. Allstate has long been an advocate for auto safety. It is our hope that we can help save teen lives and protect families. Along with many other groups, Allstate and The Allstate Foundation have helped and through continuous efforts contributed toward reducing teen driving deaths and injuries. 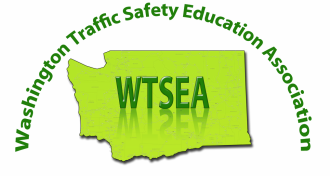 our trustworthy source for driver education tools and resources to help drivers of all ages develop and master risk-management skills. AAA has been providing instructor resources and curriculums since the 1930s and is committed to providing the materials that help people become better, safer drivers. Shelton SADD Club since 1985: Having Fun without the use of alcohol and other drugs providing leadership skills and promoting self-esteem …Promoting cleaner, safer and healthier schools and communities. The National Road Safety Foundation, Inc. (NRSF), is a 501 (c)(3) non-profit organization founded more than 50 years ago, produces traffic safety programs on distracted driving, speed and aggression, impaired driving, drowsy driving, driver proficiency, pedestrian safety and a host of other safety issues. It distributes the programs free of charge to schools, police and traffic safety advocates, community groups and individuals. It also sponsors contests to engage teens in promoting safe driving to their peers and in their communities. For more information or to download free programs, visit www.nrsf.org or www.teenlane.org. The Foundation for a Drug-Free World is a nonprofit public benefit corporation that empowers youth and adults with factual information about drugs so they can make informed decisions and live drug-free. Our truth about drugs campaign consists of activities that they can join which popularize drug-free living. Our truth about drugs campaign is a worldwide effort that involves every form of media. The Foundation provides information you need to start a Truth About Drugs education and prevention activity in your area. Last year was a record breaking year for LifeCenter Northwest. We saved more lives. We helped more families find meaning in their time of loss. We strengthened our existing partnerships and forged many new ones. We are larger and more committed than ever to saving lives through organ and tissue donation.